“The sky is falling!” Chicken Little called out [as she held up a sign citing Mark 13:25]. Soon she had gathered a flock and sent them out to warn others. “How do you know it?” strangers would ask. “Chicken Little told me,” her disciples would say. Though the doomsday cult of Chicken Little preached the imminent end of the world, they all met a brutal death before their prophecy came to fruition. With versions dating back centuries,* this iconic folktale reflects the historical persistence of the apocalyptic mindset: the world as we know it is falling apart; we must warn others so as to prepare for what is soon to come. When one turns back the clock it quickly becomes apparent that this Christian expectation has been prevalent in every generation of the common era. Let’s highlight some interesting examples, including some unexpected predictions by Isaac Newton, Christopher Columbus, Martin Luther, Joseph Smith, and a couple Popes. Forget Y2K. Y1K threw many into absolute panic for an expected Armageddon, including Pope Sylvester II. Click here to read my expanded list, or here for a comprehensive list of dates. Needless to say, the history of apocalypticism has had its fair share of letdowns. Many Christians today scoff at such date-setters, and yet roughly half of those living in the U.S. believe that Jesus will return in the next forty years. * Indeed, one only has to look a little closer to witness just how lively apocalyptic enthusiasm continues to be: The Latter Day Saints believe we are living in the latter days; the sole purpose of the most widely circulated magazine in the world, The Watchtower, is to announce “Jehovah’s Kingdom”; dispensationalist media continue to make best seller lists; there are even websites which help you prepare for armageddon, including one which will automatically send your letters to your less fortunate loved ones after you’ve been raptured up into heaven. Sometime soon, at any moment, God will put an end to this nefarious age and usher in a glorified kingdom for all eternity. Specific dates aside, this has been a central Christian message for nearly two-thousand years. And it goes back to the sayings of Jesus himself. In this article I intend to demonstrate what most critical scholars have come to agree on, namely that of all the portraits that have been painted of the historical Jesus (e.g. rabbi, zealot, magician, social reformer), he is best encapsulated – by far – as a Jewish apocalyptic prophet who, like other Jews of the first century, anticipated the soon arrival of God’s eternal Kingdom on earth. A kingdom that he expected to be established within his own lifetime. Equally significant, shortly after his death we begin to see the Church’s remodeling of Jesus’ message about the Kingdom as well as a gradual muting of its imminence. Despite being two-thousand years removed, it is a frightening and dubious notion for many to think of the historical Jesus having limited relevance today. After all, Jesus taught how we should our lives now in preparation for the next, didn’t he? Isn’t Jesus currently at the right hand of God? Isn’t God’s Kingdom within us? There’s one slight problem: Jesus didn’t anticipate a two-thousand year preparation period. Jesus was a first century Jew who, like other Jews of his age, was living under an oppressive Roman government. As such, he expected God to answer his people’s call for restoration by imminent intervention. God would destroy the forces of evil who were pulling the puppet strings of said foreign rulers and establish his eternal kingdom on earth. To the credit of theologians everywhere, there are indeed sayings in the gospels which support the theology of a present kingdom, sayings which I argue below do indeed go back to the historical Jesus. However, such sayings are greatly overshadowed by others that promote the long standing Jewish hope for a future kingdom of God on earth. A kingdom Jesus expected to arrive before the end of his generation. It wasn’t until the early 20th century, ensuing the scientific standards of the enlightenment, that scholars began to recognize that the quest for the historical Jesus must fully center itself within this context of antiquity. At the forefront of this approach were german theologians Johannes Weiss and Albert Schweitzer. Weiss saw a Jesus whose kingdom was “a radically superworldly entity which stands in diametric opposition to this world (Jesus’ Proclamation, 114). Schweitzer agreed with Weiss, but thought he had been too repressive in his thesis. In his tour de force The Quest for the Historical Jesus, the young Schweitzer shaked the scholarly community with his emphasis on Jesus’ prophesied kingdom as an eschatological event – one which failed to come to fruition before his death on the cross. Here was a Jesus far removed from the Jesus preceding scholars had constructed in their own image; a historical Jesus of the past contrast to the theological Jesus of the present. While the Christian can still experience Christ in spirit, Schweitzer maintained, “the historical Jesus will be to our time a stranger and an enigma” (Quest, 399). Schweitzer’s work was an exposé of brutal honesty. It was what liberal scholarship had been waiting for. It “loosened the bands” theology had placed on Jesus research, forcing us to come to grips with a Jesus that was imperfect yet historically reliable. While most scholars of today now reject some of the arguments proposed by Schweitzer (for instance, that Jesus believed he had to suffer on the cross to jump start the kingdom’s arrival), they’ve come to accept the general picture of the historical Jesus Weiss and Schweitzer had painted – that of an apocalyptic prophet who prophesied the kingdom of God as an eschatological event that would be made manifest by the end of his generation. Understandably, this radical new approach to the historical Jesus wasn’t an easy pill to swallow, not even for its founders. Weiss intentionally held back in the first publication of his work until his scholar father-in-law Albrecht Ritschl had died, while Schweitzer’s final chapter rings with pessimism. And yet despite these potentially devastating conclusions, Schweitzer and Weiss dominated the discussion of historical Jesus research throughout the twentieth-century. Indeed, scholars found more and more evidence in support of an apocalyptic Jesus as well as a fuller understanding of what Schweitzer called “Jewish apocalyptic dogma” (much owed to the discovery of the Dead Sea Scrolls). So what is the evidence? 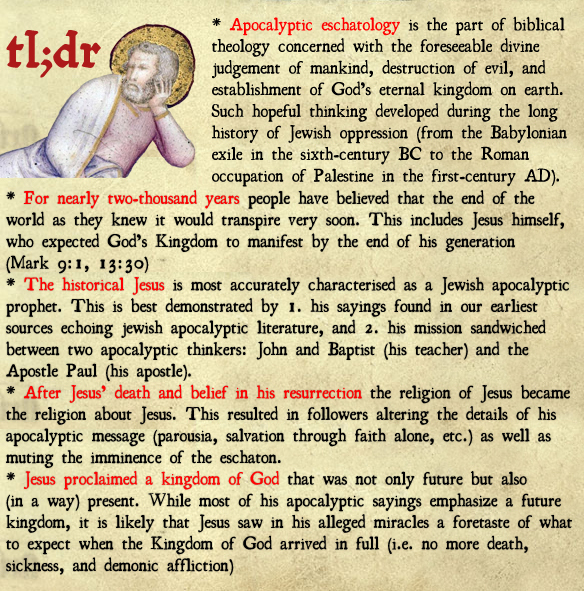 Why is the historical Jesus best understood as a Jewish apocalyptic prophet? I’d like to present the two best reasons. 1. his best attested sayings in the gospels echo every major theme of Jewish apocalyptic literature, and 2. his mission was sandwiched between two significant apocalyptic thinkers, John and Baptist (his teacher) and the Apostle Paul (his apostle). Before focusing on the apocalyptic/eschatological sayings of Jesus I’d like to give a quick definition of these two central words and their origin. “Apocalypse”, an adjective from the Greek apocalypsis (ἀποκάλυψις), is literally a “disclosure” or “revealing” of hidden knowledge – knowledge that is sometimes disclosed to a prophet or other privileged individual. Usually such sacred information has to do with the end of human history and what can be expected. This subject on the last days is called “eschatology”, from the Greek noun for “last”, eschaton (ἔσχατον). And so, “apocalyptic eschatology” refers to the unveiling of details concerning the last days of human history and its transformation into the age to come. Since the highlight of most apocalypses in Judeo-Christian literature tend to be the eschaton the two words are often used interchangeably today. The concept of apocalyptic eschatology arose from cognitive dissonance within Jewish thinking during its several hundred year period of persecution. At the cornerstone of Judaism is the belief that God had made a covenant with his people – a mutual agreement that if they maintained devotion to him and followed his laws that he would provide for them and protect them as his children. During the monarchy of King David and others it worked pretty smoothly. And then foreign politics happened. First came the Assyrians, who in 721 BC overthrew the northern kingdom of Israel and dissipated ten of its twelve tribes. Then, in 587 BC, came the Babylonians who conquered the southern kingdom of Judah, destroying the Temple and sending its leaders into exile. Things started to get better fifty years later when the Persian Empire overthrew the Babylonians and allowed the exiles to return and build their Temple…that is until Alexander the Great overthrew the Persians and spread Greek culture throughout the Mediterranean following his death. The tyrant king Antiochus Epiphanes forced Hellenism upon his Jewish subjects a revolt erupted in 167 BC lead by the Maccabeans. It was during this period that our first apocalyptic writings emerge, notably the Book of Daniel and the Book of Enoch. Eventually the Jews succeeded in driving out the Seleucid Greeks, only for their promised land to be taken over again, this time by the Romans in 63 BC. Like rulers before them, the Romans initially allowed the Jews to a high priest to govern the Jewish population of Palestine. This changed for the worse in 40 BC when Rome appointed Herod the Great, a false Jew and “madman” to rule over them as king. In short, the Jews had the worst streak of bad luck a people could ask for. What was going on? God had promised us this land (Gen 15:18, Josh 1:4)! God had promised us a kingdom that would last forever (2 Sam 7:12-13)! The answer, according to the prophets, was that they as God’s people hadn’t held up their end of the bargain. They had disobeyed God, and for their sin he had abandoned them. In time this solution lost support with the increasing awareness of suffering among even the most pious Jews, and another answer gained affirmation: it wasn’t God doing these terrible things to us but the spiritual forces of evil. Where as the earlier form of Yahweh could safely proclaim “I make peace, and create evil” (Isaiah 45:7), he has now “left out evil and created good…” (4 Ezra 2:14). His darker side had gradually become personified as its own separate entity known as Satan, Mastema, or Belial. * Post-exilic Jews made attempts to wipe God’s record clean; in retellings of Jewish legends what had been previously attributed to God was now attributed to the Devil. Like other Jews in his day Jesus held onto such apocalyptic expectations — so much so that he made it his mission to prophecy them to the Jewish masses so as to prepare them for God’s kingdom. As Schweitzer and those after him argue, this qualifies Jesus an apocalyptic prophet. To best demonstrate this let’s go down the list and see how Jesus’ most reliable sayings as recorded in our gospels parallel the eschatological expectations of preceding Jewish literature. At the start of this article I pointed out just how strong the hope for God’s future presence on earth continues to be, as seen from various protestant denominations. But Catholics also frequently express this, whether they are fully aware of it or not. They do so every Sunday with the Lord’s Prayer, a prayer which Jesus taught his own disciples. As the parallel verses below show, such explicit signs included war, earthquakes, suffering, and darkness. Notice the verbatim phrases Matthew takes from Isaiah and Daniel. Not even the dead were exempt from God’s judgement preceding the arrival of his kingdom. It was widely held in Jewish apocalypticism that the righteous who had died would be vindicated and granted eternal life, while those less fortunate would finally receive their punishment. * Like the Pharisees but unlike the Sadducees, Jesus anticipated a universal resurrection. Moreover, like those before him and Paul after him, he envisioned a resurrection in which the righteous would be angelically transformed. Within the theme of judgement are several key elements that Jesus echoes in the gospels. First, repentance. Central to Jesus’ mission was to convince his fellow Jews to “repent, and believe in the good news,” just as John the baptist had before him (Mark 1:14-15). Since the exile the good news had been a forthcoming salvation with God’s reign on earth (Isaiah 52:7-10). But in order to be saved one had to repent (i.e. turn away from sin and turn towards God for forgiveness). But with an honest evaluation of such verses it is clear that these are inventions of the early Church, who identified Jesus as the Son of Man he had spoken of. Before his crucifixion this synonymy wouldn’t make sense since Jesus was already on earth. It did make sense however after Jesus was believed to have been resurrected and exalted to heaven. Moreover, we see the author of Matthew revising sayings in Mark in order to make this point. In Mark Jesus asks, “Who do people say that I am?” (8:27) while Matthew has ““Who do people say that the Son of Man is?” (16:13). In Mark, Jesus distinguishes himself from the Son of Man by declaring, “Those who are ashamed of me and of my words in this adulterous and sinful generation, of them the Son of Man will also be ashamed when he comes in the glory of his Father with the holy angels” (8:38). Matthew, however, changes this to “Whoever acknowledges me before others, I will acknowledge before my Father who is in heaven” (10:32). Nice try, Matthew. Despite the tactics of the early church to promote Jesus to a higher christology by identifying him as the Son of Man (see also Rev 1:13), we can see in the earlier gospel sayings that Jesus echoed the apocalyptic expectation of God’s viceroy when he prophesied about the Kingdom of God. The qualifications Jesus lays out for inheriting the kingdom of god are wholeheartedly Jewish in origin, as encapsulated in Deuteronomy. In regards to “loving the Lord”, Mark quotes Deuteronomy directly. Concerning “walking in all his [God’s] ways”, we see it expressed in the judgement discourse just mentioned; one loves thy neighbor by imitating the love of god. 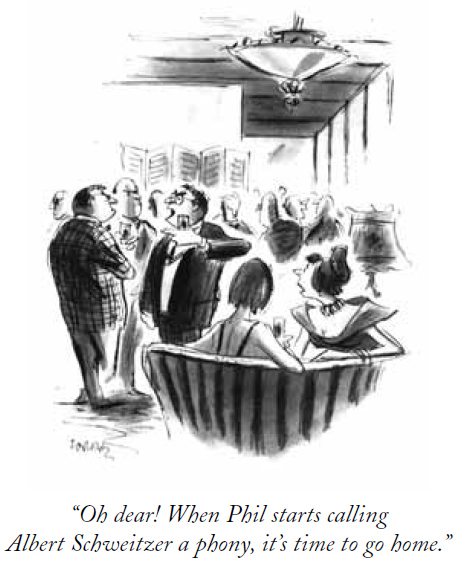 Such is promoted in other Jewish texts from antiquity. Finally, following the judgement there will be a reversal of status in the kingdom. In the beatitudes Jesus blesses those less fortunate, such as the poor, the mournful, the meek, and the hungry – the same looked after in Isaiah 61. Such individuals on the unfortunate end of society will be elevated to the top, and visa versa. As mentioned above, a cornerstone of apocalyptic eschatology was cosmic dualism – the belief in a universal struggle between the forces of good and evil. 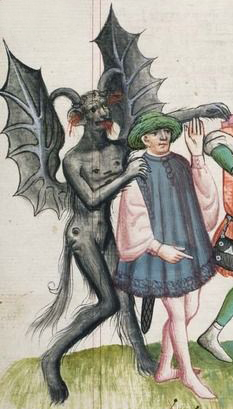 First century Jews were convinced that Satan was currently in control of the earth’s kingdoms, and that his legions of demons were responsible for everyday woes, including sickness and disability. Indeed, we learn from the second century BC Book of Jubilees that although God had initially “bound” the demons (the offspring of angels and humans) “in the depths of the earth for ever, until the day of the great condemnation, when judgment is executed” (5:10), he allowed the devil (here called Mestema) to keep a tenth of them on earth (10:5-9). In order for God’s kingdom to come to fruition, then, the remaining spirits needed to be imprisoned and await punishment (Isa 24:21-22). The authors of the gospels subscribe to such thinking and have Jesus act on it in accordance with his mission as a prophetic miracle worker. First, Satan offers Jesus the kingdoms of the earth, demonstrating his control over them (Matt 4:8 // Luke 4:5; cf. John 12:31; 1 Peter 5:8). Second, Jesus clearly equates the first stage of the defeat of Satan with his and his disciples’ exorcisms. One of the most certain aspects of the historical Jesus is that he gained attention as an exorcist during his ministry and taught his disciples to also cast out demons. * At one point he proclaims that his exorcisms mark the arrival of the kingdom of God. A striking parallel can be found in the Song of the Sage at Qumran which associates the Kingdom of God with the expulsion of evil spirits. The point to be made is that although the practice of exorcism was common in the first century,* Jesus stood out not only in his methods but more importantly in his tying exorcisms with his message about the coming kingdom. As Graham Twelftree explains in his paramount work Jesus the Exorcist, “Jesus’ mighty acts were in his own eyes as epochal as the miracles of the Exodus and likewise heralded a new age…For him, his exorcisms were the first or preliminary binding of Satan who would finally be destroyed in the eschaton” (224). As has been suggested multiple times already, at the heart of apocalyptic eschatology was the promise of God’s eternal kingdom on earth. But where exactly? The Promised Land of course. Naturally, this meant a restoration of Israel along with its main components: the Jerusalem Temple, the Twelve Tribes, and a Messiah on the throne of David. This hope for a restored Jerusalem predates apocalyptic literature itself. Indeed, it is expressed soon after the Babylonian exile by prophets Isaiah, Micah and Ezekiel. First, there’s the prophecy that Solomon’s Temple would be rebuilt. It was in fact rebuilt under Cyrus of Persia following the end of the exile in 539 BCE (Ezra 1:1-4, 2 Chron 36:22-23), however this restoration hardly met the prophets’ blueprints. The Temple was to be constructed with precious stones and metals (Isa 54:11, cf. Tob 13:16-18). Those of all nations were going to pay homage there (Isa 66:18-21). Its foundations would be laid upon a new heaven and new earth (Isa 66:22). Surely when it was time to cut the red ribbon there was at least some disappointment. Regarding the former first, it is often thought that Jesus – or the author of Mark – is referring to the destruction of the Jerusalem Temple by Rome in 70 CE, around the time Mark is believed to have been written. One of the problems with this is that Jesus envision the Temple being completely destroyed, while the Romans left much of the Temple wall standing. * This prophecy, then, is likely to predate the actual destruction and may indeed derive from the apocalyptic Jesus himself. As for Jesus’ visit to the Temple, it is widely held that his rather violent actions were not an act of cleansing/moral reform but rather a symbolic action. * Just as the prophet Jeremiah broke a pot to proclaim that the Temple would be destroyed (Jer 19:1-13), Jesus flipped over tables to proclaim the Temple’s imminent destruction. Unlike Jeremiah’s though, this would not be a military destruction. * Rather, God himself was going to remove the temple and restore his own – just as Enoch had foretold. Even though Jesus envisioned the destruction of the temple as God-performed and eschatological in nature, it is not surprising that the authorities would see this message as a threat – especially when it was promoted by a hostile gesture (Mark 14:5, 15:29; Acts 6:14). * Many scholars believe that this public prophecy by Jesus at the temple – one strongly rooted in contemporary Jewish eschatology – is what primarily lead to his arrest and crucifixion. As stated explicitly in the Testament of Benjamin above (9:2), to accompany the restoration of the Temple was the regathering of the Twelve Tribes of Israel who had ruled God’s territory before being exiled by the Assyrian army in 721 CE. Although the church didn’t have a very good memory when it came to remembering their names,* Jesus’ gathering of twelve disciples is well rooted in our textual sources. Even Paul attests to them (1 Cor 15:5). This selection of twelve surely served as a prophetic sign. The Q tradition even has Jesus promise them that they will “judge” (i.e. rule over) the twelve tribes of Israel when the kingdom arrives – a striking parallel to verses from the Testament of the Twelve Patriarchs above. It is often pointed out that a strong argument for this saying originating from the historical Jesus is that Judas was among the twelve when this was delivered. * Surely Christians living after the betrayal would have preferred him to have been left out. If the twelve disciples were appointed over the twelve tribes of Israel, who would rule above them as messiah? After all, the restoration of one on the throne of David was vital for most Jews when thinking about the eschaton. But what exactly was the messiah? At the very least, one who had been “anointed” (Heb. māšîăḥ) by God and stood in special favor of him. This included the kings of Israel but also priests and prophets. * Which traits were expected of the coming messiah? The Jewish texts aren’t always consistent. The title was primarily a synonym for “king”, often described as a mighty warrior who would “shatter unrighteous rulers” and “have the heathen nations to serve him under hike yoke” (Ps Sol 17:23-36; cf. Isa 11:4 and Num 24:17-19). * Others, like the sect at Qumran, expected two messiahs – one priestly and one kingly (1QS 9:1). A third model was that of a prophet similar to Elijah and Moses, anointed to “bring good news to the oppressed” (Isa 61:1; 11Q Melch 18; Deut 18:18). Unlike our other eschatological themes, Jesus says very little about a messianic Son of David, and some instances in which he does are historically problematic. * On the other hand, it appears that at least some of Jesus’ followers identified him as the messiah very early on (Romans 1:3-4; 1 Cor 15:3). Did Jesus also see himself as the messiah? The details are hotly debated among scholars, but the general conclusion appears to be in the positive. Not surprisingly, as leader of the twelve disciples Jesus sees himself ruling above the twelve tribes when the kingdom arrives – though no mention of a Davidic throne is made (Mark 10:35-45 // Matt 20:20-28). While this appears to confirm a proclamation of a restored messiah like apocalyptic prophets before him (even if self-fulfilled), it’s worth asking which messianic model Jesus fits best. When we compare the image of Jesus in the gospels with the various expectations of the messiah summarized above, it is most likely that Jesus was initially identified – by himself and others – not as a Davidic king but a messianic prophet. At last, the kingdom of God has been established and those judged righteous can live happily ever after. Time to party. And what better way to celebrate than an extravagant banquet with the messiah and patriarchs? There will be no shortage of bread and booze, and the messiah will even “grant to the saints to eat of the tree of life” (T. Levi 18:11; cf. 1 En 25:5-6; Apoc. Mos 28:4). The hope for a messianic banquet survived even into Rabbinic times (m. ‘Abot 3:16-17; b. Pesah. 119b; Num Rab 13:2). Jesus prophesied to his followers the same expectation. Indeed, many scholars believe that prior to his final meal (first attested by Paul in 1 Cor 11:23) Jesus regularly ate in a ritual fashion with his disciples as a foretaste of the coming banquet in the Kingdom of God. For instance, just as Jesus had the disciples divide their meal at the last supper (Luke 22:17) so too did he divide their meal in the feeding of the five thousand (Mark 6:41 // Matt 14:19) – likely a metaphor for the endless quantity of food the righteous will receive in the kingdom. If such meals were indeed frequent during his ministry it’s no wonder that Jesus’ critics mocked him as “a glutton and a drunkard” (Matt 11:19). Stepping back from the plotline of the eschaton, we return to a fundamental question: when will the Kingdom of God arrive? Parallel to apocalyptic prophets before and after him, Jesus proclaimed that the end was near. Moreover, he instructed his disciples to spread this exact message. Therefore, it is likely that they are three variants of one saying emphasizing the kingdom’s imminence. * Of the three, I find Mark 9:1 to be the most likely candidate for church authorship as it fits well with the anxiety Christians began to experience when their fellow members were dying while the kingdom had yet to arrive – a problem Paul copes with in his letter to the Thessalonians (4:13-18). Even if we throw all three deadline sayings out the window, the theme of imminence itself stand strong in Jesus’ eschatology, just as it always had been in his Jewish forerunners and contemporaries. On that note, I’d like to stress that we can hardly say with certainty that Jesus said exactly this or that since the gospels were written decades after his death by anonymous, non-eyewitness Christians. In other words, none should be treated as direct quotes from Jesus but rather early Christian traditions. The best we can do is filter alleged sayings and deeds through historical criteria to find those which probably do originate from the historical Jesus on a general level. Jesus need not have said everything above and in that exact way for his apocalyptic image to stand; the point is that these sayings are multiply attested in our earliest sources (i.e. Q, Mark, synoptic traditions) and often they make better sense coming from the Jewish mission of Jesus than the early church. Thus concludes the (much larger) first part of my two-part argument for the apocalyptic Jesus. We have seen how Jesus prophetically echoes at least eight general themes of Jewish eschatology – including a number of specifications within Judgement and Restoration ideology. Like other Jews who lived under foreign oppression, Jesus envisioned a future manifestation of God’s kingdom on earth, preceded by dramatic tribulation. When God finally intervened he would resurrect the dead so that all would be judged by the Son of Man in accordance with their observance of the commandments. The righteous would be rewarded with angelic eternal life while the wicked cast away for punishment – generating a reversal of status. Although Satan and his demons ruled this current age, they would be bound and defeated. What was once part of Israel’s golden monarchical age will be restored – even more supreme than before; the Second Temple will be replaced by one of purity, the Twelve Tribes will return from distant exile, and a messianic figure will serve as god’s viceroy in the Jerusalem. Once all has been accomplished, a messianic banquet will be held, summoning saints from all compassing nations. This is what Jews who wrote the Hebrew Bible and Pseudepigrapha believed; it’s what Jews living in first century Palestine believed; it’s what Jesus himself believed and made a mission prophesying about. The abundant amount of eschatological parallels we’ve surveyed – some of them quite striking – between these ancient Jewish texts and the earliests traditions of Jesus are surely more than enough to validate Schweitzer’s portrait of Jesus as an apocalyptic prophet. But what are we to make of passages in the New Testament which seem to contradict those which scholars attribute to an apocalyptic Jesus? We’ve seen for instance how Jesus distinguishes himself from the coming Son of Man in some sayings while equating himself with him in others. It was shown how the latter was the work of the early church, who had exalted the resurrected Jesus and now aligned the future kingdom with the parousia – i.e. Jesus’ return (). A second change was in the terms of salvation. As a Jew, Jesus endorsed the heartfelt Law of Moses as the ticket to eternal life, especially loving God and thy neighbor (Matt 16:22; Mark 12:30-31). Following Jesus’ crucifixion, belief in his sacrificial death and resurrection became a necessary inclusion, and therefore “a man is justified by works and not by faith alone” (James 2:24). As Christianity spread among the gentile populace through Paul the commandments became so insignificant to the point that “a man is justified by faith and not by works” (Rom. 3:28). During his mission he proclaimed that the Kingdom would arrive within his generation, probably while his disciples were still alive (Mark 1:15, 13:30; Matt 10:7). When Christians began to die decades following the crucifixion, Paul and others coped with the anxiety of the delay by saying that some would still be alive (1 Thess. 4:15-17; Mark 9:1), including the high priest (Mark 14:62). Then he too died, so it must have been that “Jesus did not say that he would not die.” (Ibid.). Increase in delay caused “scoffers will come…saying, ‘Where is the promise of his coming? For ever since our ancestors died, all things continue as they were from the beginning of creation!” New arguments arose to, such as our concept of time being irrelevant because “With the Lord one day is as a thousand years, and a thousand years as one day” (2 Peter 3:3-8). The author of John uses the “spiritual” tactic seen so often in apocalyptic movements following a delay. * In short, the earthly kingdom is now a spiritual one, available in the present for all who are “born from above” (3:3, 5). The apocalyptic message about a coming Son of Man is absent. By the time the Gospel of Thomas is written a future kingdom is completely rejected by many Christians. “Rather, the (Father’s) kingdom is within you and it is outside you,” and “is spread out upon the earth, and people don’t see it” (Thom 3, 113; see also 18). It has been shown at length how the gospels have preserved a Jesus who was just as much a Jewish apocalyptic prophet as those before him, firing on all eschatological cylinders. As a final push to validate this image of him, it’s important to realize that his message parallels his mission is directly tied to those of his teacher John the Baptist as well as his apostle Paul. In other words, if both John and Paul preached an apocalyptic message then it would only make sense that Jesus did as well. Jesus wasn’t the only first century Jew who gained a following in his hope for a restored Israel, so much so that the New Testament compares him to a few of them. In the Book of Acts, Rabbi Gamaliel compares Jesus’ character and movement with that of Theudas the prophet and Judas the Galilean (5:35-39). * But most often and accurate of all, Jesus was compared* to John the Baptist, who “appeared in the wilderness, preaching a baptism of repentance for the forgiveness of sins” (Mark 1:4). The first thing we learn about Jesus as an adult is that he was baptized by John, who ritually washed away people’s sins in preparation for God’s judgement. Here was a first century prophet who, before Jesus, proclaimed that the Lord’s wrath was imminent – using harvest imagery found in apocalyptic literature. Among the few certainties historians attach to Jesus, his baptism by John the Baptist is one of them. * Certainly it should come as no surprise that Jesus was a disciple of the Baptist agreed with his message. “After John was put in prison” Jesus appears to have taken over the mission in “proclaiming the good news of God” (Mark 1:14). Indeed, the fourth gospel tells us that Jesus’ first disciples were those of John’s (John 1:35-1:51). Like John the baptist, Jesus preached outside (Matt 5) and taught his disciples how pray (Luke 11:1-4). The two were so much alike that some thought Jesus was John the Baptist, including King Herod (Mark 6:14, 8:27). Moreover, the gospel authors go out of their way to present John as the forerunner of Jesus, with Luke mirroring the two’s birth narratives. While Jesus differed from John in a number of ways*, the point to be made here is that Jesus took on the role of an apocalyptic prophet like John before him. Around twenty years after Jesus’ death come our earliest surviving Christian writings – letters by the apostle Paul. In the letters Paul writes to his various churches we learn a bit about what early Christians such as himself believed and taught regarding the eschaton. Now the religion about Jesus, the return of Jesus as the Lord Christ overshadowed the arriving kingdom; a deliverance of the kingdom was still expected (1 Cor 15:24), however these early Christians did not exclaim “Thy kingdom come”, but “Our Lord, come!” (1 Cor. 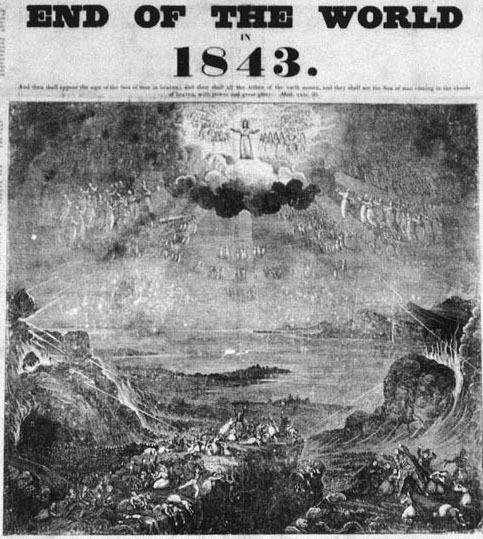 16:22; cf. Rev 22:20). As the bolded words show, Matthew and Paul have the same key components: (1) the coming of the Son of Man/Lord Jesus, (2) his angels will blow their trumpets, (3) the righteous who are alive will gather together. The fact that Paul includes himself in that list reveals his preservation of an imminent kingdom – one that will arrive before he dies. Other parallels between the eschatology of Paul and Jesus include belief in the resurrection of the dead mentioned earlier (1 Cor 15; cf. Matt 22:30), a “coming wrath” (1 Thess 1:10; cf Matt 3:7), the day coming like a “thief” in the night (1 Thess 5:2-3; cf. Matt 24:42-44), and the abandonment of worldly possessions due to how little time is left (1 Cor 7:29-31; cf. Mark 10:21). From the looks of it, a belief in an imminent judgement was too firmly grounded in the message of Jesus for Paul and his churches to ignore. At this point it may seem that the case for the apocalyptic Jesus is pretty air tight; that our New Testament texts overwhelmingly present a historical Jesus who prophesied a future judgement and subsequent kingdom on earth. There’s just one little discrepancy left untackled: there are passages in the gospels which Jesus seems to proclaim that the kingdom is already here. For supporters of this theory, this passage in Luke is the crux of their argument. But as others are quick to points out, the passage is only found in Luke; unlike the apocalyptic sayings of Jesus analyzed above, it is not multiply attested. Moreover, the only gospel it is found in is the only one which is most intent on de-emphasizing Jesus’ future expectation (as we saw an example of above with Luke muting Mark’s imminence of the kingdom). Moreover, the logic supposing that this passage overrule the abundant number of sayings which do paint the eschaton as future is nil. However, Dodd and his supporters have a point. There are other passages in the gospels which give the impression that the kingdom was – in a way – present; that what the righteous were going to experience when the kingdom arrived could already be experienced in Jesus’ presence as God’s agent. It is unlikely that Jesus meant that the kingdom was fully present in his actions. * At most (because it is never clearly stated), Jesus believed that those who experienced his miracles and teachings “were experiencing a kind of foretaste of what life in the Kingdom would be like” (Ehrman, Jesus 177). This makes sense when we compare what Jesus did and taught during his mission with the expectations of the world to come: Jesus cast out demons and rebuked Satan; God would soon vanquish Satan and his demons for good. Jesus cured the sick and raised the dead; when the kingdom arrived there would be no more sickness nor death. Those who followed the ethics of Jesus – observing the commandments and becoming “like little children” – were in a way practicing the law of the future kingdom in which there would be no more sin and the righteous would have the humility of a child. In short, while the full kingdom of God has yet to be made manifest, by God’s spiritual presence on earth one can benefit from it in the present. To review then, it’s not unfounded to claim that Jesus believed that the Kingdom was both future and present so long as distinction between the two is emphasized. For Jesus, the kingdom of the future was the same one his Jewish forerunners and contemporaries looked forward to – one “on earth”, complete with twelve tribes and a new temple. Indeed, In contrast, the Kingdom was present in the sense of God’s power working through his prophet and unto others. Jesus stood out from John the Baptist in his belief that the spirit of God surrounding his mission allowed the faithful to experience some of the benefits of the future Kingdom before it had been fully realized. Rejoice, for the end of our comprehensive inquiry is at hand. By now it should come as no surprise that the majority of critical scholars today continue to encapsulate the historical Jesus in an apocalyptic framework. Our comparative analysis has revealed a Jesus whose well attested sayings are strikingly similar to those his predecessors and contemporaries who longed for a vindication by God – echoing at least eight eschatological themes. To help put it in perspective, he wasn’t even the only Jesus who expected a restoration of the twelve tribes and a replacement of the temple. * Most compelling of all, Jesus’ mission stemmed from the Baptist movement and is immediately succeeded by apocalyptic Christianity – a point even opponents of the apocalyptic Jesus concede and believe to be a strong point in favor of the apocalyptic Jesus. Finally, while Jesus probably believed “the kingdom” – in the sense of “the power of God” – was present on earth, it is nearly impossible overemphasize the imminent future eschatology so well recognized by Weiss and Schweitzer more than a century ago. *FOOTNOTES TO BE ADDED SOON (and by soon I mean soon. Not “Kingdom of God” soon).